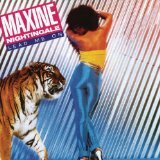 Maxine Nightingale (born 2 November 1952; Wembley, London) is a British R&B and soul music singer. She is best known for her hits in the 1970s, with the million seller "Right Back Where We Started From" (1975, U.K. & 1976, U.S.), "Love Hit Me" (1977), and "Lead Me On" (1979). One of the three children of comedian Benny Nightingale and his wife Iris - the couple having another daughter Rosalind & a son Glen1 - Maxine Nightingale began singing at age 16 with her school band, displaying sufficient vocal prowess to begin performing in London area venues with her brother Glen on guitar. In 1969 — the year she turned 17 — Nightingale joined the cast of the West End production of Hair; the same year she made her first recordings, vocalizing on the Pye singles "Talk to Me" and "Don't Push Me Baby" which were released under the name Nighttime Flyer.